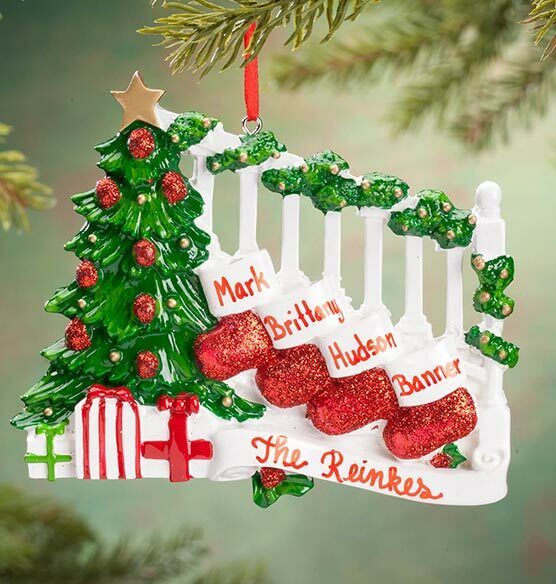 Choose how many stockings you'd like us to hang—and we'll personalize each one to honor your gang! 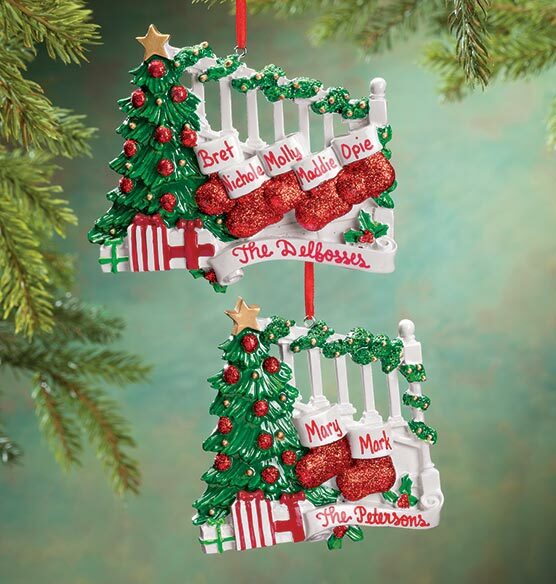 This merry Personalized Stockings on Stairs Family Ornament can be custom ordered for your family with 2, 3, 4, 5 or 6 glittery red stockings to match the tree's sparkling ornaments. 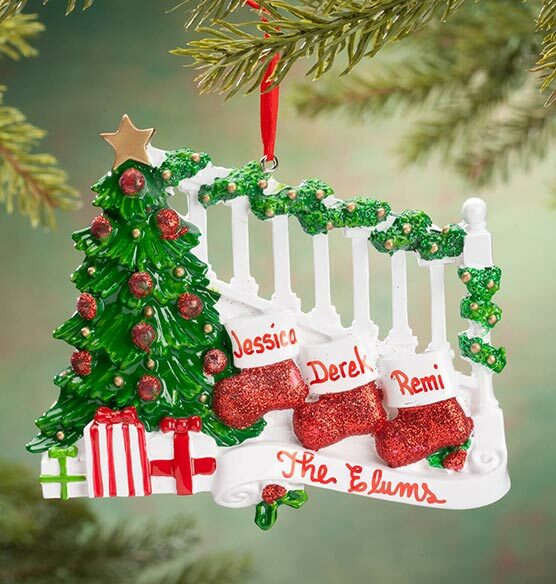 We'll name one family member on each stocking, along with your family name at the foot of the staircase. 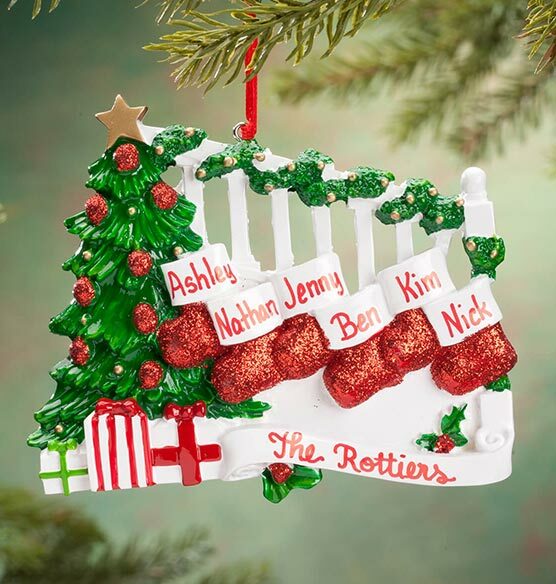 Specify first names; limit 1 line per stocking, 8 letters/spaces each. Specify family name; limit 1 line, 15 letters/spaces. Resin. Personalized Family of 2 , Personalized Family of 5 , Personalized Family of 6 , Plain Family of 2 , Plain Family of 5 , Plain Family of 6 are not available at this time. 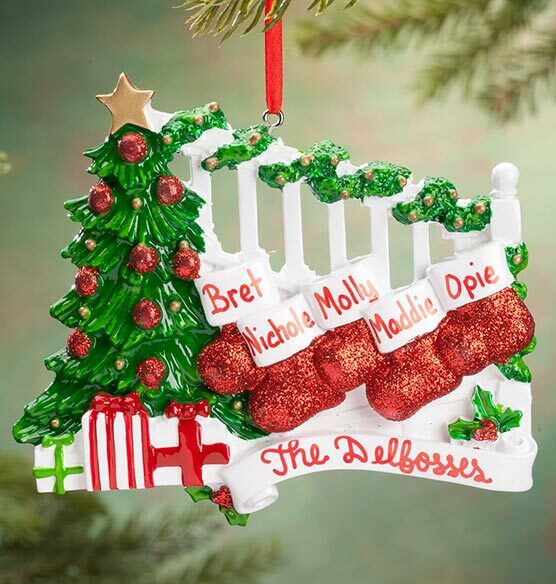 I just love how beautiful it looks, great ornament with memories to treasure. It's adorable, and just what I needed since we have 5 cats!